The Isle de Jean Charles Resettlement is a federally funded, first-of-its kind initiative to voluntarily resettle the residential population of Isle de Jean Charles, a small settlement on the coast of Louisiana. Due to myriad environmental factors, the island has experienced 98 percent land loss since 1955. 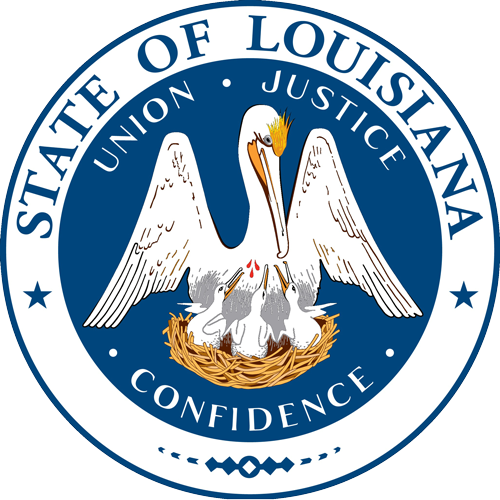 From the outset, the state’s expressed purpose has been to provide all current, permanent residents with relocation and resettlement options that reflect the values of the Isle de Jean Charles people. In keeping with this goal and mindful of the dire environmental conditions faced by island residents, the intended primary beneficiaries of the Resettlement are current, permanent residents of the island and former island households displaced since Aug. 28, 2012. Assist willing island residents in moving out of harm’s way to safe, new homes in a community that provides an improved quality of life; or, if they prefer not to join the community, they may move to an established home in a lower-risk area in Louisiana. Collaborate with current and past island residents on the design of the new community. Ensure that the community is economically sustainable in its new location. Facilitate preservation and continuity of islanders’ diverse cultural identities and traditions. Create a holistic approach to the Resettlement that will illustrate best practices and lessons learned for consideration by other diverse and culturally rich communities facing climate-driven relocation. With Resettlement funding now in place, Louisiana has the ability to make possible a structured and voluntary retreat from Isle de Jean Charles that is thoughtful and equitable, while maximizing opportunities for current and past island residents. As the Resettlement establishes itself over time, the state expects on-site generated revenue and capital to contribute to the economic sustainability of the new community. The Resettlement options are first available to residents currently living on the island and those displaced since Hurricane Isaac’s landfall in 2012 who do not own a home. The state also anticipates that former permanent island residents displaced before Hurricane Isaac will be able to rejoin the Isle de Jean Charles community at the new site if they lived in a federally-declared disaster parish at the time of Hurricane Isaac. Any unused lots in the new community will be made available to the public through other housing programs or public auction for residential housing development. Eligible households will receive a new housing unit built at the community resettlement site. Current permanent, primary residents on the island. Past permanent, primary residents displaced on or after Aug. 28, 2012 (Hurricane Isaac), who do not currently own a home. Residents who were displaced after the storm and were not permanent residents of the island at the time of the storm must have lived in a Hurricane Isaac federally-declared disaster parish on Aug. 28, 2012. Eligible households will receive funding toward an existing home within Louisiana that meets program standards, is located outside the currently recognized 100-year floodplain and is separate from the community resettlement site. Eligible households will receive a vacant lot on the resettlement site. The program will support residents in identifying potential financing options to build a home on the community resettlement site. Past permanent, primary residents displaced before Aug. 28, 2012 (Hurricane Isaac), who lived in a Hurricane Isaac federally-declared disaster parish on Aug. 28, 2012, and who can demonstrate financial ability to build a new home. Past permanent, primary residents displaced on or after Aug. 28, 2012, who presently own a home. Eligible applicants will be prioritized based on when they left the island. Application period to open at a later date. The graphic below provides a flowchart regarding Resettlement options based on a variety of situations and questions.